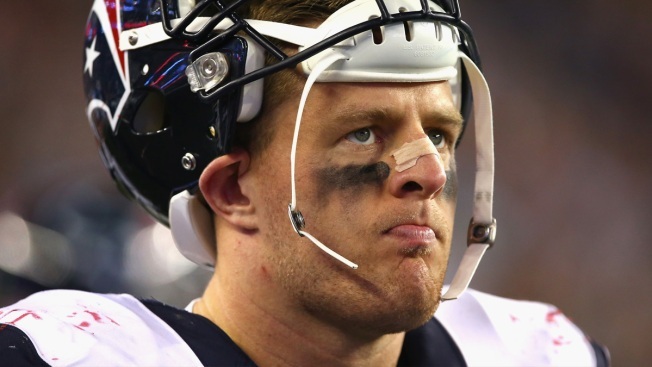 The Houston Texans placed star defensive end J.J. Watt on injured reserve on Wednesday. The move came one day after a person familiar with Watt's condition told The Associated Press he had re-injured his back and that the Texans expect him to be sidelined until at least December — and possibly the entire season. The person spoke on condition of anonymity because the team hasn't discussed his injury. Watt, who has won Defensive Player of the Year for the past two seasons, missed training camp and Houston's four preseason games after surgery in July to repair a herniated disk in his back. He started each of the team's three regular-season games and got hurt again Thursday against the Patriots. The Texans signed veteran defensive end Antonio Smith to take his spot on the roster. The team was still exploring the injury and it's unclear if it will require surgery. It's a major blow for Houston, which selected Watt with the 11th overall pick in the 2011 draft. Watt has played 83 consecutive games for the Texans despite various injuries, including torn core muscles and a broken hand last season. This was a tough offseason for Watt, who had surgery in January to repair five torn core muscles before going under the knife again in July to repair his back. Watt, who led the NFL with 17.5 sacks last season, has 1.5 sacks this season to give him 76 for his career. The 27-year-old is a three-time Defensive Player of the Year and a four-time Pro Bowler. He's been a force since entering the league not only because of his pass-rushing prowess, but also because of his uncanny ability to swat down passes. He has 45 passes defended in his six-year career. He has forced 15 fumbles and recovered 13.